When it comes to giving business promotional gifts to vendors, employees, and customers, there is a nearly unending supply of items to choose from. The balancing act when choosing a business promotional gift is to choose something that stands out and gets your message across, without breaking your budget or choosing something that doesn’t get used regularly. The most popular type of business promotional gift is “wearables,” in the industry lingo, which includes all types of clothes, hats, and accessories. From the most basic imprinted t-shirts to stylish and expensive leather jackets, this category makes up almost a third of all business promotional gifts. Wearable gifts can fit any budget and provide loads of flexible and creative ways to add your business logo and promotional message. The second most popular choice is writing implements. The combination of their low price and usefulness to any type of business provides a great value. Look in your desk drawer right now – how many pens do you have with a company name on them? Calendars, drinkware, desk or office accessories, and bags make up the rest of the leading business promotional gifts. Note that many of these items are designed to be used or worn in the office: travel coffee mugs, stress balls, and messenger bags tend to get used in business locations. One of the main benefits of business promotional items is that every time they’re used, they help reinforce your brand. A line-up of promotional merchandise – gimmes ranging from calendars to coffee mugs – can be a great way to spread the word about your company’s name and products. Although most customers view promotional products as fun freebies, research says otherwise. The Promotional Products Association International reveals that 91% of consumers have at least one promotional product in their kitchen. Reward current customers. Such perks are a perfect way to reward customer loyalty. Again, the PPAI supports the fact that 83% of American consumers like receiving promotional materials with advertising messages. Build name recognition. Promotional products can subtly ingrain your firm’s name in the minds of existing and potential customers. It’s no wonder that promotional materials are often used by big-name brands to increase notoriety, including Domino’s, FedEx, the American Heart Association, and more. Supplement your media plan. Promotional giveaways make their way into customers’ homes. 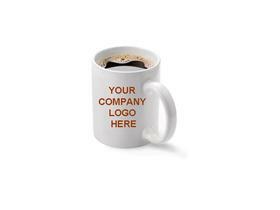 Unlike a flyer or advertisement, a coffee mug might find a permanent home in your customer’s work or home kitchen cabinet. People who would ignore a newspaper ad or a radio jingle might notice your logo on a golf ball they use every weekend. Boost product sales. If your business needs to bring attention to a particular product, targeted promotional items can get the job done. Promotional materials geared toward a product can support both introduction and exposure in the marketplace, especially in areas where sales advertisements may not be allowed. Calendars. Print your logo, and business information the bottom of every page. Consider highlighting important dates for your business. Expect to pay $5.99 each, for a batch of 100. Desk accessories. Emblazoning pens, pencils, and stationery with your company’s name works. It’s also inexpensive at .25 cents per accessory, when ordering more than 500 pieces. Golf balls. Link your company’s name to your customers’ favorite pastime. (Possible drawback: your logo won’t do much good buried in the woods or at the bottom of a pond. )Bulk value priced at $11.75 per dozen. Hats, shirts, jackets. Get the word out to your customers, by turning them into walking billboards for your firm. When ordering in bulk, (1,000) expect to pay $4.50 per hat, $4.35 per shirt. Jackets ordered by the 100 can cost $19.75 each. Refrigerator magnets. For as little as .16 cents a magnet, you can share your logo in thousands of locations. Domino’s Pizza gives out magnets with every delivery that includes their logo and the phone number of the local branch. Hand sanitizers. Your customers are likely to use and re-use a pocket hand sanitizer, reminding them of your business’s products and services with each spritz. Pay as little as $2.35 per bottle. Mouse pads. The blank canvas of a mouse pad is an ideal place to advertise your new product or brand logo. Your cost is as little as $2.25 each for an order of 500. Flash drives. A compact folding flash drive, printed with your company logo, communicates that your business is both generous and tech savvy. Pay $4.75 per drive on your order of 50. Even the simplest promotional product may be enough to get your foot in the door when advertising to a new customer. Promotional products have become a tried and true sales tool for a reason: They are a proven, cost-effective way to generate sales leads, improve brand awareness, and increase customer traffic.